Look out, Heather and Mr. K! Scottie Mom just got word that Scottie Dad is on his way back from the airport. You know what that means. 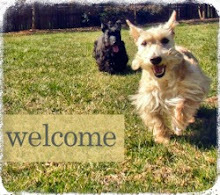 Time to go back to sleeping in the Scottie beds in the living room (or the couch - I won't tell!) before Scottie Dad figures out what we've been up to while he's been gone. I certainly did enjoy our nearly three weeks together of nighttime snuggling and your darling wake up calls of pouncing from one edge of the bed to the other and then right back to me with those tails wagging wildly in the air. What I won't miss - and this one goes for you, Mr. K - is how creatively you find ways to take up more space than I ever thought possible for a Scottie to do in a queen size bed. There were more than a few mornings I woke up to find myself lying diagonally, horizontally or even curled up to avoid waking the gentle, sleeping Scottie. (Trust me, if you disturb him in his slumber - he isn't quite so gentle. Just ask Aunt Heidi. 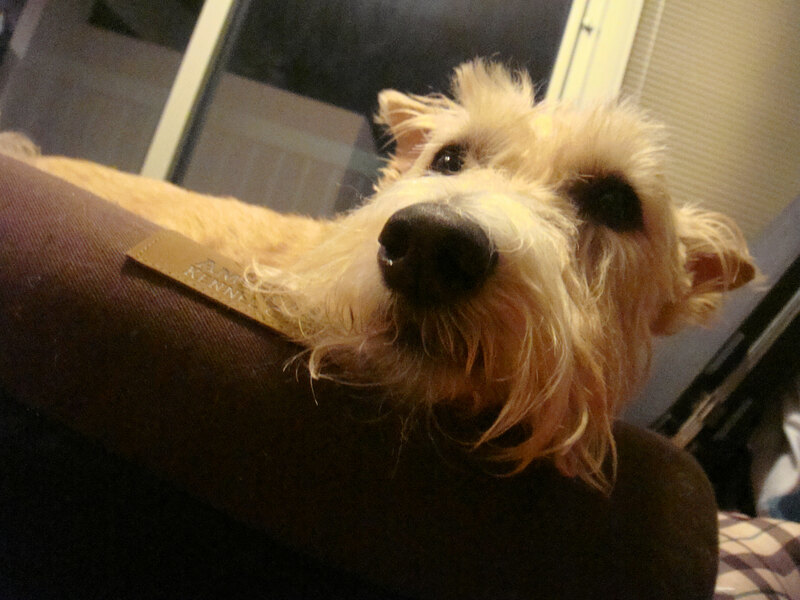 She got scolded one time for shifting a leg Mr. K was using as a comfy pillow.) Why can't you pick a Scottie spot and stick to it like Miss Heather? There she is, all sweet and contented just at the foot of the bed. Sleeping on the bed? Lucky Scotties. Hope you find a bed as soft as mine very soon. Floyd and I sleep in the peep bed when He's away too. We ALWAYS sleep on Their bed. And we take up all the room so that they end up not only clinging to the edge of the bed, but to the duvet as well. Hey ho! 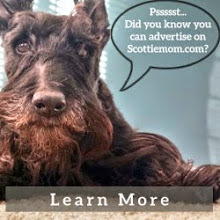 It's a Scottie Life and we sure ain't gonna change now! So, our recommendation as our favourite bed is ........ Their Bed! RooOOoodles. Marlee has NO suggestions here. . . he sleeps on the hooman bed. I feel for you Scottie Mom, I too have a queen and Marlee pushes me to the wall. He STRETCHES OUT and takes up the rest. When my boyfriend stays over Marlee tries putting him in the MIDDLE, he's even succeeded a couple of times too!! !